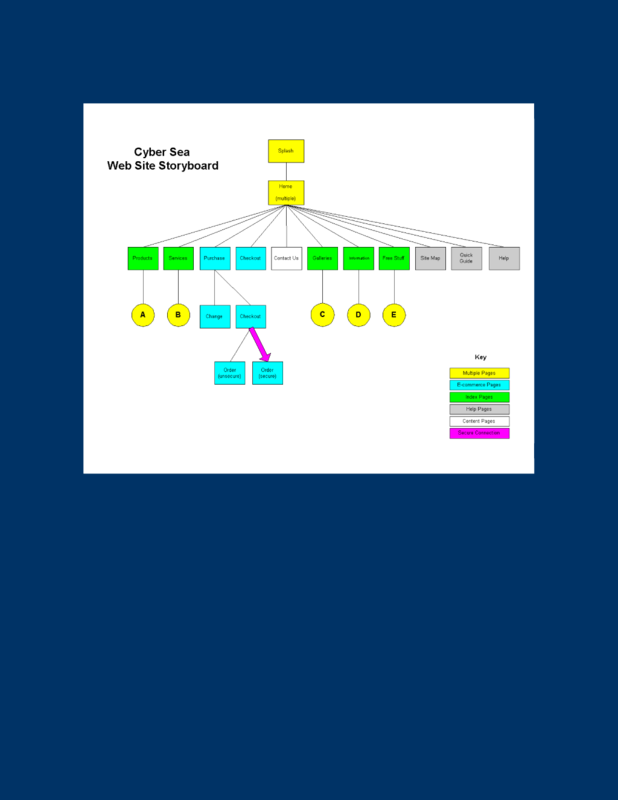 These diagrams show common designs for standard web pages, web sites and navigation systems. Use these as guides for how to design an easy to manage and easy to use site from a navigation and development standpoint. They are not meant to show visual designs, only code structure and navigation design. saved us so much time and energy and helped us produce professional extremely high quality proposals that look great. Now I don’t even have to hire a graphic designer so it’s saving me even more money." This Sample Large Web Site Storyboard Diagram is included in an editable format that can be customized for your own needs. The editable Sample Large Web Site Storyboard Diagram document - complete with the actual formatting and layout is available in the retail Proposal Kit Professional.